Catherine is an exceptional realtor and is a shining example of how real estate professionals should conduct themselves and business! We were referred to Catherine by a friend who already lived in the area. When we first met she explained that her primary goal and focus was “us” and finding the right home. She has great knowledge of the Ottawa and surrounding area and after asking us about our “wish list” (location, home attributes, what we definitely did not want, etc) she knew exactly what we were looking for and lined up multiple showings. Every time we viewed a property Catherine would perform a methodical walkthrough inspection and comment on quality, signs of problems or concerns, etc. She led us through every step of negotiations via long distance and was extremely responsive to all of our questions and needs, quickly handling any issues or addressing any outstanding items that may have risen. Catherine was purposeful in the walkthrough of all contracts and signing to ensure full understanding of all terminology and obligations of seller/buyer (I have sold/purchased several homes and not 1 realtor has done this in the past). She genuinely cared that we were satisfied with our final decision and purchase. We were impressed with Catherine’s integrity, genuine interest, trustworthiness and professionalism. We would highly recommend working with Catherine to anyone seeking to buy or sell in the Ottawa or surrounding area. Catherine is the epitome of what a realtor should be. My husband and I have used Elizabeth on several real estate transactions. She has been consistently fantastic. She worked around our schedules, including a baby and a toddler. She personally gathered and reviewed every detail available about our properties, to make sure we were getting what we wanted. She is pleasant and professional – a joy to work with. We would use her again without hesitation and would recommend her fully to anyone looking for Realtor® services. Catherine has the knowledge, the infrastructure and the character to make real estate decisions as enjoyable and seamless as can be. As a first-time home buyer, Catherine’s patience and genuine willingness to educate was especially valuable. Receiving automated emails on properties that matched my desired criteria, ensured I didn’t miss anything. Thank you for helping make this a really enjoyable experience! Elizabeth, we just wanted to take the opportunity to express our gratitude for all your assistance throughout our sales process. Your local real estate knowledge and attention to detail was invaluable. In an ever changing real estate environment we found that having you ‘on our side’ was a tremendous advantage to us and we are thankful to have worked with you. Having a rural property sold in just over 2 weeks at almost 98% list price was amazing! During a stressful time of trying to sell our home and move out of province, your professionalism in carrying out your responsibilities as our agent were beyond reproach. You kept us abreast of everything that was happening which certainly took a lot of pressure off of us. Needless to say, we were fortunate to meet you. You are a real professional, and it has been a pleasure to have worked with you. I would highly recommend your services to anyone looking to buy or sell a home! I enjoyed Catherine’s ‘matter of fact’ attitude and knowledge of the industry. She was honest in assessing the market and making appropriate suggestions to achieve a successful sale. I enjoyed her as a person. She was willing, showed no discomfort, dislike, inconvenience whatever presented. Thank you for a very satisfying business transaction. Elizabeth went beyond the call of duty throughout the process. She was professional, personable, empathetic, an excellent listener, and a most gracious support to us during a time of huge transition. She listened to our numerous needs and helped us find a house that met each and every one of them. She then worked tirelessly to help us sell our home in a very short period of time for a most appropriate price. Elizabeth came to us highly recommended by my brother and we have, in turn, recommended her to friends and family. My husband and I consider her a friend and would not hesitate to recommend her over and over again. the purchasing and selling of our homes. We would gladly recommend her to our friends. Elizabeth understood our needs and requirements and worked diligently to help us find our first home. She also achieved great results when selling my husband’s previous house. Elizabeth’s special care and attention to detail are wonderful attributes and set her apart from other realtors. Elizabeth goes above and beyond the call of duty and has become a family friend who has also helped other friends and members of the family with their real estate needs.We highly recommend working with Elizabeth. Making the decision to move was difficult for us, but deciding to have Catherine help us was not. From our first meeting, Catherine made us feel at ease. We were extremely impressed with her professionalism and her honest and caring attitude. In the end, our house sold in 7 days and we couldn’t have dreamed of having a better experience. I’ve never seen such hard working and dedicated agents. I’m very happy for you both to see the SOLD sign. It’s been a pleasure. 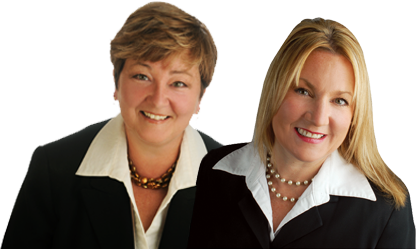 Catherine and Elizabeth, you are the best and most professional agents I have met in my career. In addition to this, you are devoted, passionate, and sincere and it has been a privilege to collaborate with you. You never let us down… And you have honoured your obligations and always protected xxxxx’s interests. Congrats and good luck! Our paths will cross again! Elizabeth is a top-notch professional and respectful individual; she listened to our concerns and helped us through every step of the process so we felt at ease. The expert staging she provided along with the professional photos and videos enhanced the many highlights of our home. We highly recommend contacting Elizabeth Forde! Elizabeth Forde is a very knowledgeable and competent realtor with a delightfully positive approach. Elizabeth worked tirelessly and used a variety of technologies to ensure our home was well marketed to the right audience. Our spacious custom built rural home, on a large wooded property, was priced perfectly to entice many potential purchasers and to find the right new owners quickly. The unique aspects of country living were very familiar to Elizabeth as, she too makes her home in the country. Through all the ups and downs, Elizabeth’s high energy and positive attitude prevailed and helped to keep us balanced. 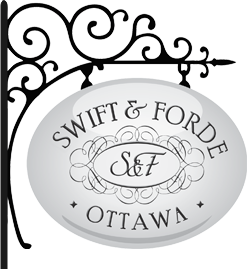 We highly recommend Elizabeth Forde to anyone selling property in greater rural or urban Ottawa. We had a great experience with Catherine Swift. She was always available which is really important when you are looking for the house of your dreams and there are a million people like you looking for the same thing. We also had a lot of advice from her and we learned a lot in the process. So just keep being the best realtor ever!